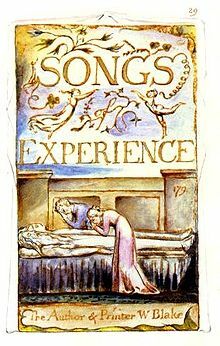 Songs of Experience was appended to Blake's earlier Songs of Innocence, and reissued with a new title page, "Songs of Innocence and Experience". Some poems titles are found in both works. This page was last edited on 7 September 2013, at 15:59.